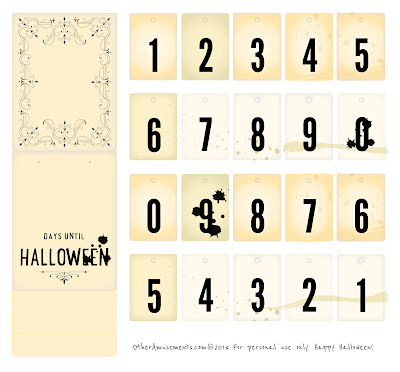 I'm suggesting using thin card for this, I did try it with bog standard printer paper and it was okay but a bit flimsy. It didn't have that old paper look I was going for. They made things proper in the olden days. I'll bet you've got some knocking about from that time you tried jewellery making. Here is a guide to opening and closing jump rings. A paperclip or fuse wire could work at a push. You could use an awl or cut the whole thing with an electronic cutting machine. 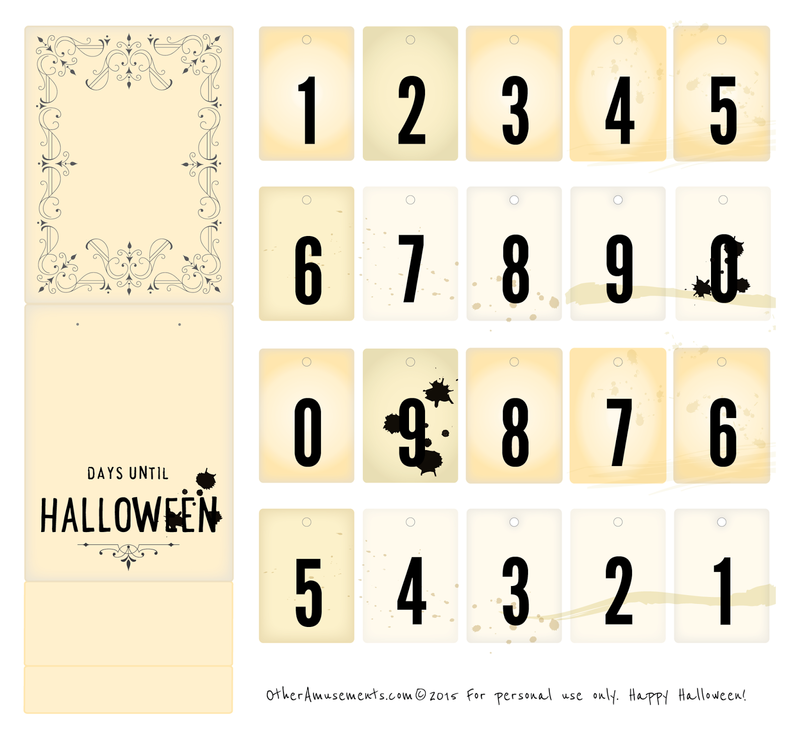 - That's it, now you can set the days until Halloween! Click the image for full size, then right click and select save as. 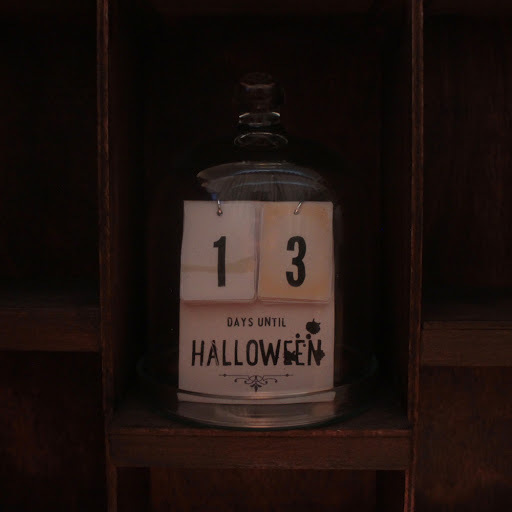 Don't forget to change it each day, I won't be help responsible if you miss all the Halloween fun because of bad calendar management!